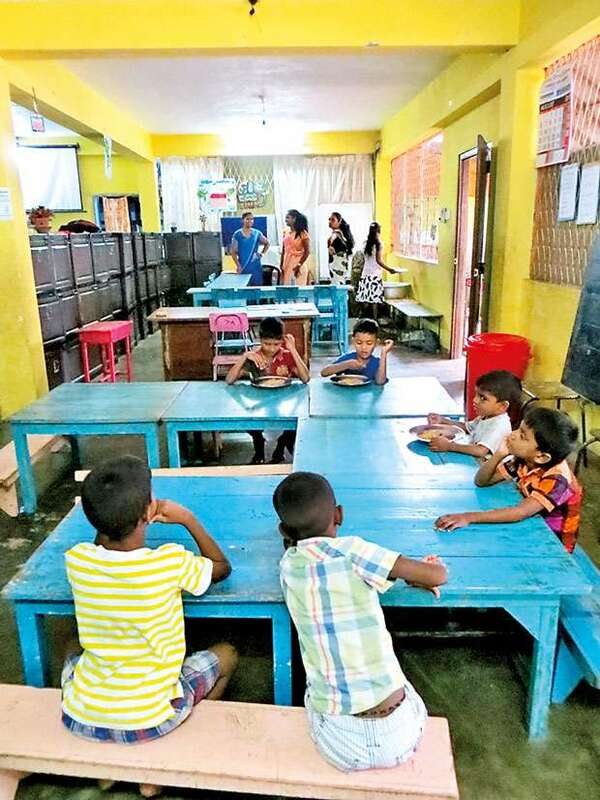 Tucked away next to St Mary’s Church in Negombo sits the Yawajeewa Community Learning Centre, an educational haven for disadvantaged children. The students aged 3 – 16 all live in the area surrounding Negombo’s fish market and many live on the street or don’t have proper care at home. Because of this it makes it difficult for them to attend a mainstream school. The creation and maintenance of the school has come together through local and international groups as well as with the help of St Mary’s Church who has provided them with the location. As one of their corporate CSR projects, Dutch IT company NIPPUR has provided the finance for a renovation of the kitchen, classroom, toilet/shower block and also provides the children with a hearty lunch every day. 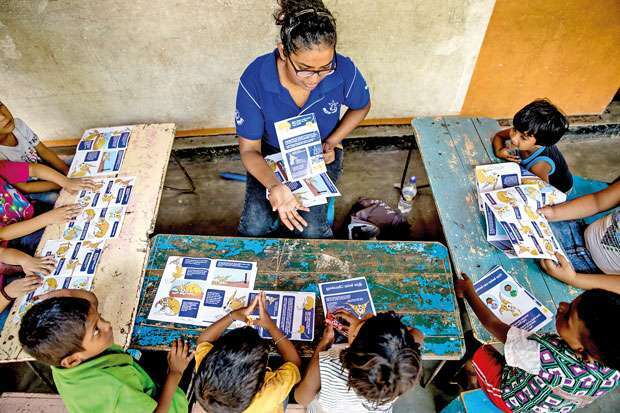 Local NGO, Dogstar (primarily an animal welfare charity) became involved in the school when CEO Samantha Green learnt that as only lunch was provided, children were only attending the school to wait for what was possibly their first meal for the day. It was because of this that Dogstar founded the Breakfast Club– a chance for children to enjoy a hot breakfast which allows them to be able to concentrate on their morning lessons. With three full time teachers, the school also receives local and international volunteers that come to teach special skills such as art, yoga or plastic pollution education. Dogstar even runs their “Pupstar Club” to teach the children how to care for cats and dogs and keep themselves safe around animals. Older children are taught trade skills such as carpentry or tailoring and many children are able to go onto further education or be integrated back into the mainstream education system thanks to Yawajeewa. Differently abled children and those with learning difficulties are welcomed in the school with the main focus is that every child reach their potential and that all their unique gifts be celebrated. The visited the school recently and even though it was school holidays, classes still kick off at 8.30am, 5 days a week. Standing in two straight lines, the children recited their morning prayers before wishing us and their teachers a good morning. Once inside the classroom, they eagerly collected their breakfast of rice with dhal, with many children going back for seconds which was heartening to see. 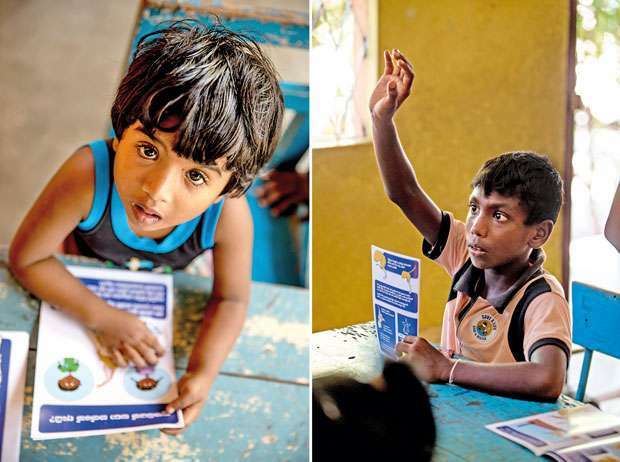 Split into two groups, the younger kids were learning their numbers in Sinhala while the older kids were focusing on math. With bright smiles and cheeky attitudes, it was obvious that the children adored their teachers and enjoyed being in the school. Something as simple as providing two meals a day has such a positive impact on attendance and allows the children reach their full potential as they can focus on their studies and not hungry tummys. Yawajeewa Community Learning Centre has been essential for the local fish market community - without access to education these children will continue to be trapped in a cycle of poverty and are high risk of developing social problems such as domestic violence, abuse, gambling and drug use as they get older. By providing them with education, food, shelter and love, Yawajeewa is providing them hope for a better future. The school’s next big project is raising enough funds to buy a school bus to allow them to pick up children from areas further away and to build dormitories to prevent those sleeping on the streets with a comfortable and safe place to rest. If you would like to get in touch with Yawajeewa Community Learning Centre and follow their progress you can find them on Facebook. Great to hear the good work done by the school. Not quite sure about the morning prayer part!